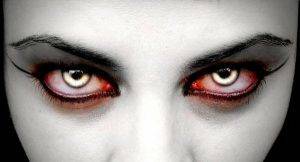 With Halloween fast approaching, decorative contact lenses are on the rise! These lenses add a special spooky touch, but be careful of the risks! Make sure to be properly fit because no contact lens is “one size fits all”. Only buy contact lenses from somewhere that requests your prescription. Properly care for the contact lenses to lessen the chance of an infection. Read more from the American Optometric Association here.